Ethiopia is a linguistically and culturally diverse country of around 80 different ethnic groups, the Oromo being one of the largest. The Oromiya region has seen territorial disputes with neighbouring states and internal religious conflict, but the lives of everyone in the region are affected by severe socioeconomic problems. 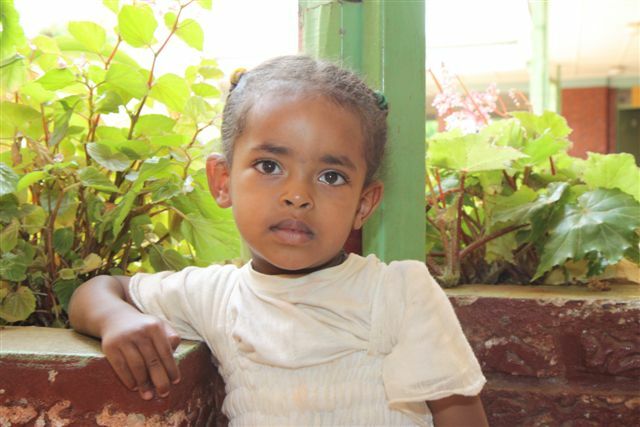 The seventh SOS Children’s Village in Ethiopia is located in the town of Jimma in the Oromiya Region. Jimma (also spelled Jima) is the largest town in south-western Ethiopia and has a population of approximately 160,000. With a total population of over 27 million, Oromiya is the largest Ethiopian state, both in terms of population and area. SOS Children’s Villages decided to support the local population and children without parental care in the region due to recent socio-economic developments: the cost of living has been steadily on the rise. This means that food and clothing are increasingly beyond the means of the average income group. The cost of services such as health care and education has also substantially increased. According to the market statistics published by the Ethiopian government, the cost of living was 55.4 per cent higher in 2011 as compared to 2010. In light of these increasingly difficult economic circumstances, it is also becoming harder for families to provide for their children. Women in Oromiya have an average of 6.2 children – the highest number in all of Ethiopia. As elsewhere in the country, families tend to have many children partly due to traditional values, and in part due to a lack of awareness and availability of contraception (only around 13 per cent use it in Oromiya), as well as the fact that girls usually marry and start a family at a very young age. Gender inequality also continues to be a factor that affects the lives of many young girls and women in Ethiopia. In Oromiya, only 29.5 per cent of women are literate, as compared to the 61.5 per cent of men. Without an education, young women have little choice but to be dependent on a husband or other male relative to provide for them, thus putting them in a very vulnerable position. Ensuring the availability of education to all children in our care and from the local community is therefore a priority for SOS Children’s Villages’ work in the region. SOS Children's Villages began its work in Jimma in 2012. Our social centre here provides a family strengthening programme to members of the local community. The programme aims to help parents develop their capacities in a holistic and sustainable manner, to achieve self-reliance and economic autonomy, and to ensure access to essential services such as health care and education. We provide guidance on income-generating activities, as well as counselling and psychological support. The social centres also offer day-care, where up to 450 children are looked after, fed, and taught simple literacy and numeracy skills while their parents are at work. The overarching aim of these services is to support families, and the community as a whole, so that children can be protected and cared for and will not be abandoned. Our medical centre here is also open to the community and serves approximately 6,000 patients each year. Amongst others, it provides the following services: consultation and treatment, minor surgery, vaccination, family planning services, ante/post natal care, voluntary HIV testing, and health education. 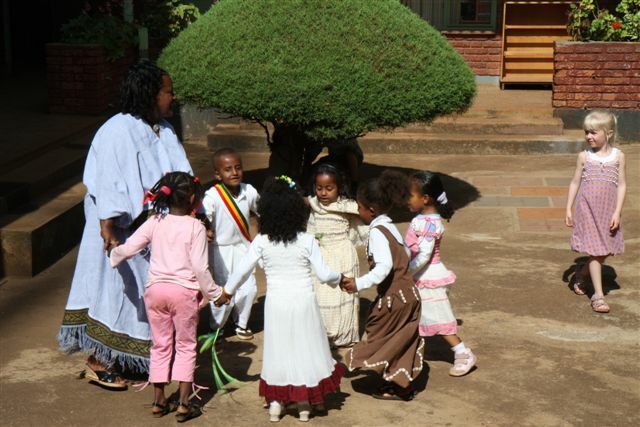 Together with children from the community, they attend the SOS Kindergarten here in Jimma. This way, children from SOS families are integrated into the community from a young age. The children then continue their education at the SOS Hermann Gmeiner School, which offers primary and secondary school education to around 640 students. When young people from the children’s village reach an age where they feel ready to move out of the family home, the SOS Youth Programme makes shared accommodation available to them while they complete their education or vocational training. With the support of qualified counsellors, the young people plan for their future and prepare for independent adult life.